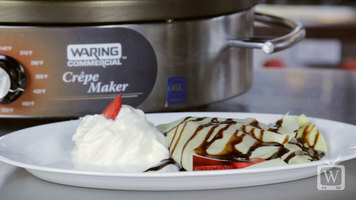 Waring Commercial presents the Waring Commercial crepe maker. This unit has many convenient features, including a large, 16" cast-iron cooking surface, a durable stainless steel base with a heat-resistant carrying handle, power and ready indicator lights, and an adjustable thermostat of up to 570 degrees Fahrenheit. Plus, it includes a stainless steel batter spreader and spatula. The crepe maker quickly heats up and has a fast recovery, batch after batch. 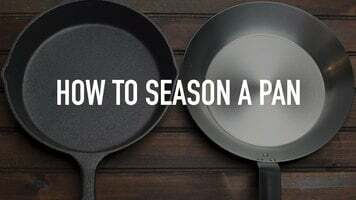 Make a variety of delicious, profitable menu items, including banana nutella crepes, sesame encrusted tuna with cucumber edamame mousse, crepes Suzette, and steak tartare crepes, Or, using a buckwheat batter, make buckwheat galette with eggs, ham, and cheese, caprese salad buckwheat crepes, meatball with tomato sauce buckwheat crepes, smoked salmon buckwheat crepes. You can even use dosa batter to create breakfast corn dosa with sauce or a butternut squash dosa! Find more recipes at waringcommercialproducts.com. Enhance your menu selection Waring Commercial crepe maker! 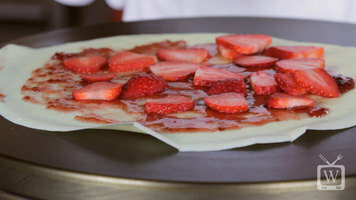 A popular, fun, and versatile food, crepes can be as basic or as complicated as you like! Watch this video to see how this unit can become a versatile and profitable addition to your kitchen.